The election of Sebastián Piñera as president of Chile for the 2018-2022 term reflects a good dose of continuity and at the same time contains elements of short-, medium-, and long-term change. The continuity is determined not only by the reelection of Piñera, who was already president (2010-2014), but because from 2006 to 2022, Chile will have been governed by only two presidents (Michelle Bachelet, 2006-2010 and 2014-2018, and Piñera, 2010-2014 and 2018-2022). Each is a member of one of the two coalitions that have reached power and that have succeeded one another in the presidency since 1990. The results of the first and second rounds also convey important signs of change within that continuity, and situate the Chilean political system, as forged in the 1980s and 1990s, at the end of an epoch. The center-right (Chile Vamos) has won, but this coalition has become much more heterogenous than what was historically the alliance formed by UDI and Renovación Nacional. 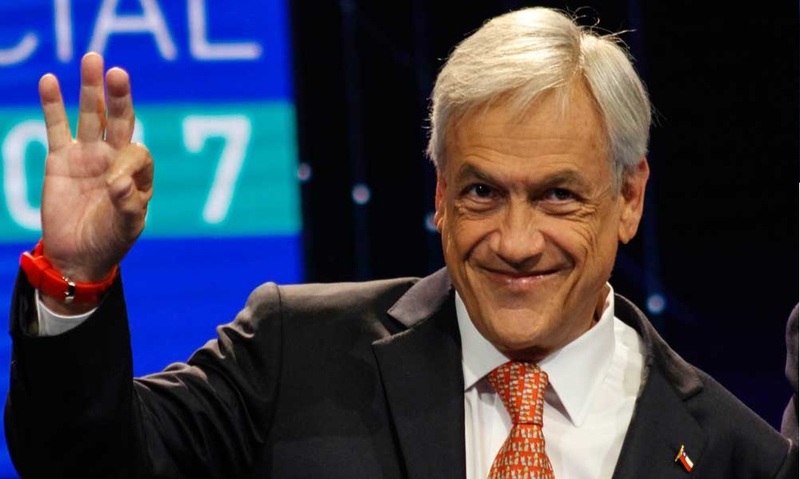 Piñera’s victory has been based on his ability to overcome the failure of the first round, where he obtained just over 36 per cent of the votes (he aspired to reaching 50 per cent). In the second round Piñera won the support of the far right (led by José Antonio Kast, who won almost 8 per cent on November 19) and of the new emerging forces: the liberal right of Felipe Kast, the leader of Evópoli, and the popular right of Manuel José Ossandón. The new Piñera administration will not be able to get away from the appearance of those new leaders who aspire to picking up on Piñera’s legacy in 2021-22. If the center-right is devoted to bringing about changes in its internal dynamics, the broad sector that ranges from the center-left (forces supporting the Concertación) to the radical left (the Frente Amplio), are now obligated to reinvent themselves. Fuerza de Mayoría (the old Concertación and the former Nueva Mayoría) has suffered a major blow in both the first round (garnering the worst vote of an incumbent party since 1989) and the second round, where it finished far behind Piñera (nine points: 54.5 per cent versus 45.4 per cent). The historical Concertación coalition runs the risk of disappearing due to a threefold crisis: of leadership (Alejandro Guillier has not been a very attractive candidate and has shown little strategic ability); of identity (it has lost votes to its right—for the first time the historical alliance between the Socialists and the Christian Democrats fell apart—and to its left with rise of the Frente Amplio); and of project. He has tried to defend, with little conviction, positions that are very difficult to reconcile, upholding the reformism of the Concertación of 1990-2010; the project of change that represents more of a rupture promoted by President Bachelet in her second term; and promises of more disruptive reforms looking to the future, with the aim of attracting the backing of the Frente Amplio. It is possible that the 2017 elections will have buried a successful historical experiment that came about to confront the regime of Augusto Pinochet, and which enjoyed hegemony for two decades. Piñera’s victory, by a much larger margin than suggested by the once again erroneous opinion polls, was due to several circumstances. First, 300,000 more voters cast ballots in the second round, and not only the left mobilized, as was speculated. Piñera won many more votes than in the first round because he captured the support of a part of the right that did not vote on November 19, trusting the polls (which predicted a big victory for Chile Vamos, which ultimately did not happen). In the second round, the vote motivated by fear of a turn to the left (or to a center-left government of Guillier very dependent on the support of the Frente Amplio) has mobilized the center-right and the abstentionist right. Second, the reluctant support provided by the Frente Amplio to Alejandro Guillier has not helped mobilize the decisive vote of the left (which represented 20 per cent of those who voted in the first round for Beatriz Sánchez, the Frente Amplio candidate). To capture that vote, the vote of the Christian Democrats, and the vote of those who opted for Marco Enríquez-Ominami, Guillier transformed the second round into a plebiscite on his rival and sought to rally the so-called “vote for the lesser evil,” of those who rejected Piñera (depicted from the left as a millionaire businessman who backs “neoliberal” reforms). The Frente Amplio ended up conceding, albeit reluctantly, its embarrassing support. Seeking to offset that insufficient support, Guillier tried to give his proposal a turn to the left, but that effort wasn’t enough, and the flip as between the first and second place finishers in the first round did not happen in the runoff (just as it did not happen in previous runoff elections in 1999, 2005, 2009, or 2013). What does Piñera’s victory represent on a Latin American scale? From a Latin American regional outlook, Piñera’s victory in the Chilean elections consolidates the change in the political juncture the region has been experiencing since center-right candidates began to win in 2015 (Macri and Kuczynski). If the center-right has more victories in Colombia, Mexico, and Brazil throughout 2018 these results would make that change in political juncture clearly transform into a change of trend and political cycle at a regional scale. Piñera’s victory, as was the case with Macri, implies the more than likely implementation in Chile of structural reforms (pro-market) to pull the country out of its current weak growth, liberal reforms that are not going to be easy to carry out: First, because they will meet with much resistance. And second because the Piñera administration, like that of Macri, will face a more fragmented Congress in which the new party in power, Chile Vamos, is very far from having a supermajority and 11 seats short of an absolute majority. Moreover, it will not be easy to find support in the moderate left (Fuerza de Mayoría) or in the radical left of the Frente Amplio, thus his room for maneuver is reduced to the Christian Democrats, whose legislators are to the left of this party. Finally, Piñera’s victory reinforces the processes of regional integration, since it facilitates the convergence and building of bridges between the Pacific Alliance (depending on what happens in the elections in Mexico and Colombia, and what the future holds for Pedro Pablo Kuczynski) and Mercosur, where Macri defends a closer relationship with the Alliance (which is also waiting to see what happens in the elections in Brazil). The 2017 presidential elections in Chile mark a point of inflection in the country’s history, since they represent elections that marked the “end of an epoch.” The blow suffered by Fuerza de Mayoría forces the center-left coalition to reinvent itself after losing votes to its left and experiencing a divorce—which is seeming like it may become definitive—with its center (for the first time, the Christian Democrats went into the presidential elections outside of the coalition). The center-right is setting out to redesign itself if it wishes to survive and not find itself immersed in a process of decadence, like the one experienced by the old-style politics in the Concertación. In addition, the heterogeneous Frente Amplio has four years ahead of it to build internal cohesion (more than 10 forces make up this coalition) and surpass its electoral ceiling so as to become a real alternative for governing. That 20 per cent has come to stay and is not a volatile vote like the one that supported Marco Enríquez-Ominami in 2009. The expansion of the Frente Amplio requires appealing to the vote of the center-left, for which this coalition should abandon its innate rejection of anything that smells of the Concertación, which would be its logical ally for reaching the presidential palace. In general, the political class has before it the challenge of reconnecting with a society that does not trust its political institutions (Congress, parties, and politicians generally) and whose abstention has been over 50 per cent in both first-round and runoff elections. And that requires not only giving impetus to public policies that solve the problems most palpable to society (poverty, inequality, poor public services in health, education, transport, and security), but also making political action more transparent in response to the shadow of corruption. Finally, and unlike what has happened in Honduras, these elections have highlighted the strength of Chile’s institutional framework. The professional operation of its electoral institutions was on full display: less than two hours after the polls closed, the electoral authority had already counted 95 per cent of the vote, and had broadcast the results. In addition, the republican tradition was followed once again: a phone call from President Bachelet to Piñera to begin the transition; and that phone call was preceded by Guillier’s acknowledgement of his defeat.